Most of the everyday writing from the ancient world—that is, informal writing not intended for a long life or wide public distribution—has perished. Reinterpreting the silences and blanks of the historical record, leading papyrologist Roger S. Bagnall convincingly argues that ordinary people—from Britain to Egypt to Afghanistan—used writing in their daily lives far more extensively than has been recognized. Marshalling new and little-known evidence, including remarkable graffiti recently discovered in Smyrna, Bagnall presents a fascinating analysis of writing in different segments of society. His book offers a new picture of literacy in the ancient world in which Aramaic rivals Greek and Latin as a great international language, and in which many other local languages develop means of written expression alongside these metropolitan tongues. Roger S. Bagnall is Professor of Ancient History and Director at the Institute for the Study of the Ancient World at New York University and the author most recently of Early Christian Books in Egypt. "This is the most important and original study of literacy and the function of writing in ancient society to have appeared in the last twenty years. 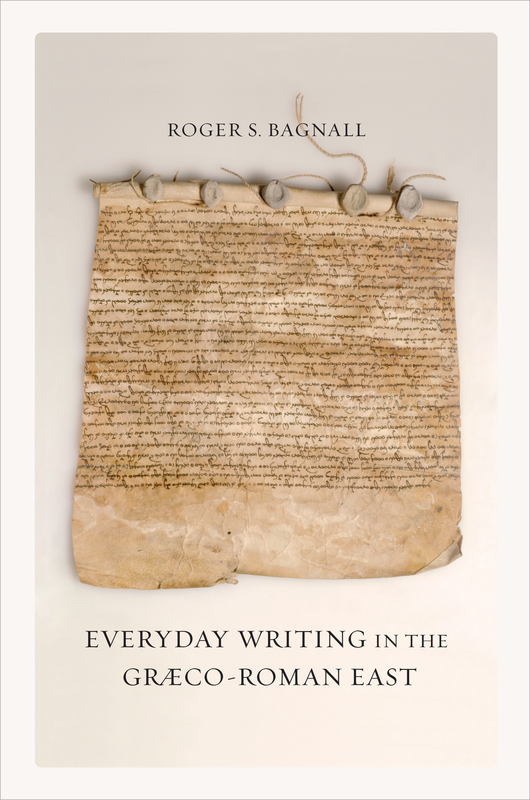 In a masterly and detailed survey of evidence from across the ancient Mediterranean world, Bagnall shows how and why 'routine' writing was essential to social and administrative infrastructures from the Hellenistic to the Byzantine periods. Essential reading for anyone interested in understanding the role and function of the written text in human social behaviour." "This richly illustrated and annotated book takes the reader on an extended tour from North Africa to Afghanistan. Bagnall’s theme is the ubiquity and pervasiveness of writing in the long millennium from Alexander to the Arab conquests and beyond. Briskly challenging the currently fashionable low estimates on the extent of literacy and the prevalence of writing in the ancient world, Bagnall surveys and explains what has survived and what has been lost—and why. This is a book both for specialists and for the general reader, sure to inspire admiration and reaction." 6. Writing on Ostraca: A Culture of Potsherds?